Adorable. A little girl gets to play in the rain for the very first time. If we can, we should all create such moments – for others and for ourselves. Go. Boy or Girl. Two is Enough. 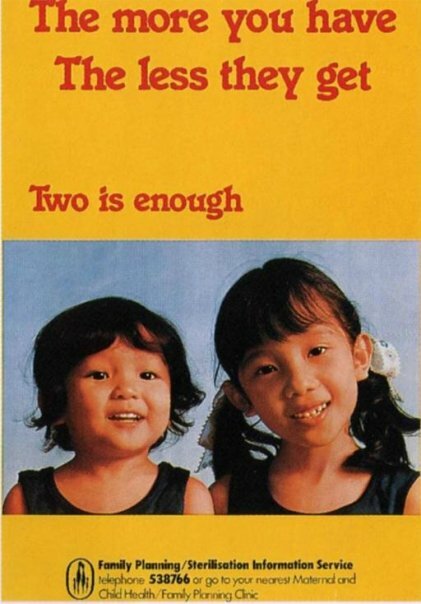 This was a campaign in Singapore from the 70s and 80s. Now, we have the opposite problem. Too few people having kids. The government’s party line is “have more kids”! They even give out monetary incentives to encourage us. Playing God is difficult. Some things should be left to Him. In fact, all things should be left to Him.